If I were corny I’d point it out. Luckily, I am corny so I’m going to point it out… 3 2 1! *chuckles* Ok, let’s get started. Anski, Lynn and I started out with some Diablo 3 Season 2 yesterday afternoon. I hadn’t played Season 1 or Season 2 up to this point and I wasn’t really familiar with it. So if you are in the same boat, here are the basics. Essentially this lets players start over. A lot of people may ask the question Why but the answer is simple. 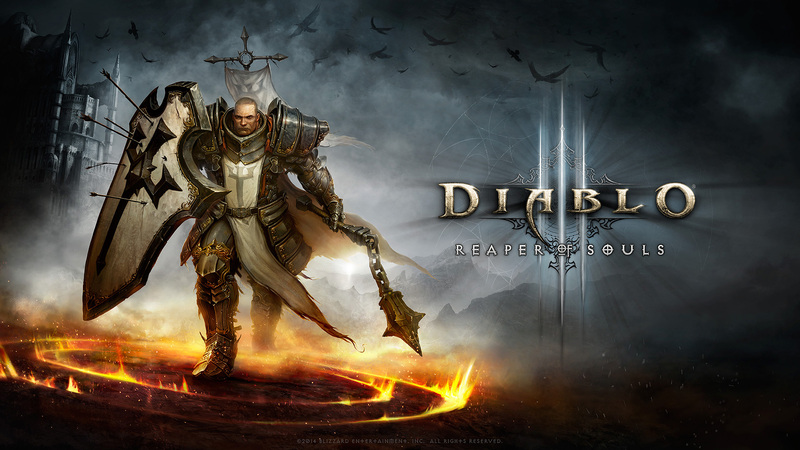 Players start out as if it was their very first character on a brand new Diablo III account. No access to non-season stash or gold and non-season players cannot join the same party as seasonal players. This creates an isolated shard of the game and makes it unique. Seasons have unique legendary items that can only be looted while playing a season character. Also new transmogs and achievements called conquests. But players aren’t just playing the game like usual. They are competing for each other on the Leaderboard system. If you want to read more on Diablo III season 2 – check out this page – it is full of some great information. There isn’t much different in my opinion. Granted I am not playing Diablo III Season 2 to be on top of the leaderboard or anything. I’m just playing it to have fun with friends. See Connect with Yuka if you want to play with me in the future. The goal of Seasons is not to complete the campaign as it is so much to get points to get on the leaderboards. For others, like myself, it’s all about the loot. So we took to Adventure Mode over Campaign Mode. Anski and Lynn had already started characters and were in the high 40s for levels so I piggybacked off of them until they finished their Adventure Mode run. Once complete we started a new game with me as the leader so the monsters would be my level. After only 3 runs of Adventure Mode, our time was over but I left as a level 37 Crusader. Not bad for a short while gaming. The stream and this article are a little bland. In the future I’ll provide some looks at interesting loot drops. There will certainly be more on this very soon. Check out both videos of the live stream that Anski and I ran during our little run through Diablo III Season 2!